Slovakian artist Palo Macho began working with glass in 1980 at the Secondary School of Applied Arts of Glass in former Czechoslovakia where he studied until 1986. 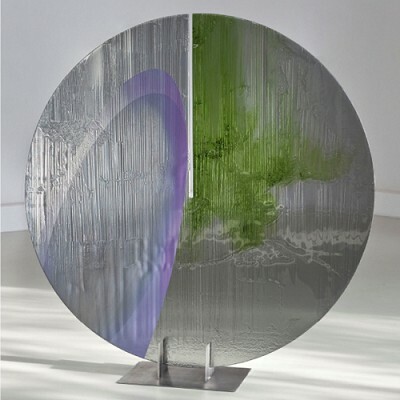 Beginning in 1989, he continued his studies in glass at the Academy of Fine Arts and Design in Bratislava, Slovakia, under Juraj Gavula, a glass artist noted for his contemporary mixed-media works. Macho also has a background in painting and design that has influenced his glass art. 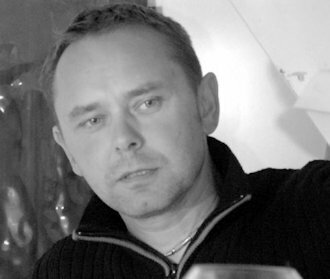 He studied painting and fine arts in 1993, at the École des Beaux Arts in St. Etienne, France. Macho’s approach to glass sculpture exemplifies his focus on a painterly style, linking his work to contemporary two-dimensional art. 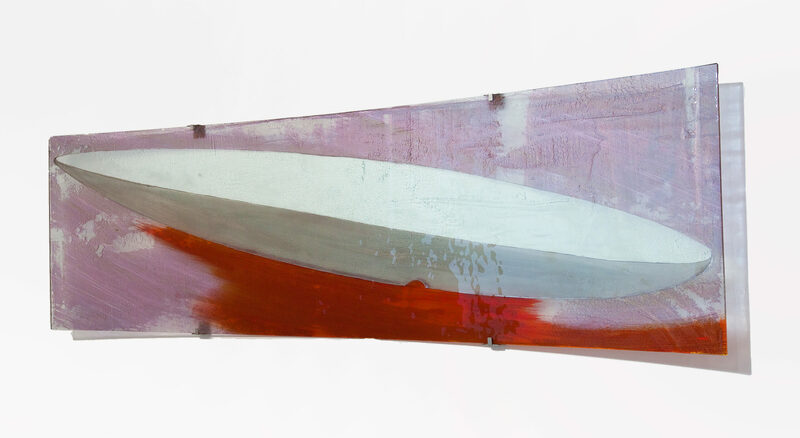 He creates abstract, lyric paintings manipulating the surface, as well as the interior layers of the glass. The resulting sculptures are reversible paintings – reliefs, which could be called ‘picture-objects. 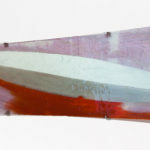 Using a variety of techniques on hot-shaped sheet glass, he joins several layers of painted, treated glass. This layering gives his objects a character of depth, relief and the presence of inner space. Macho makes ingenious use of transparent and opaque glass, composing matt and translucent areas to enhance his imagery. Some of the special lustrous effects in his colors are produced using metals.